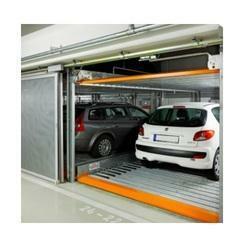 We offer our clients a wide range of Car Parking Lift, which is designed using superior quality raw material. Mainly used for parking non-commercial vehicles, our range finds application in private garages, apartments, complexes, car show rooms and service stations. Owing to the features like ease of use, no overhead mechanisms and low power consumptions, these lifts are highly appreciated by our clients. Backed by rich industry experience, we are presenting vast variety of Car Parking Lift. 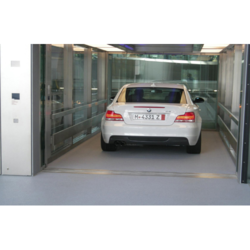 This range is widely utilized for moving cars and vehicles across the floors of buildings, malls,hotels, hospitals and showrooms. Also, these products are an ideal choice for parking of numerous cars in places like public parking with timely rates and private parking for skyscrapers.